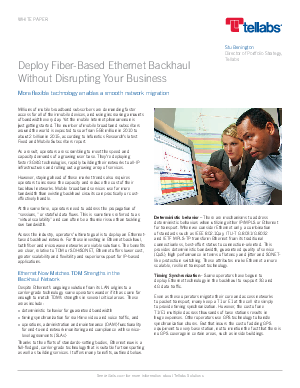 Have you considered migrating your backhaul network to Ethernet? Worried it will negatively impacting your business? It doesn't have to. This white paper from Tellabs outlines the key steps for upgrading a backhaul network to Ethernet and the benefits compared to TDM or SDH/SONET.